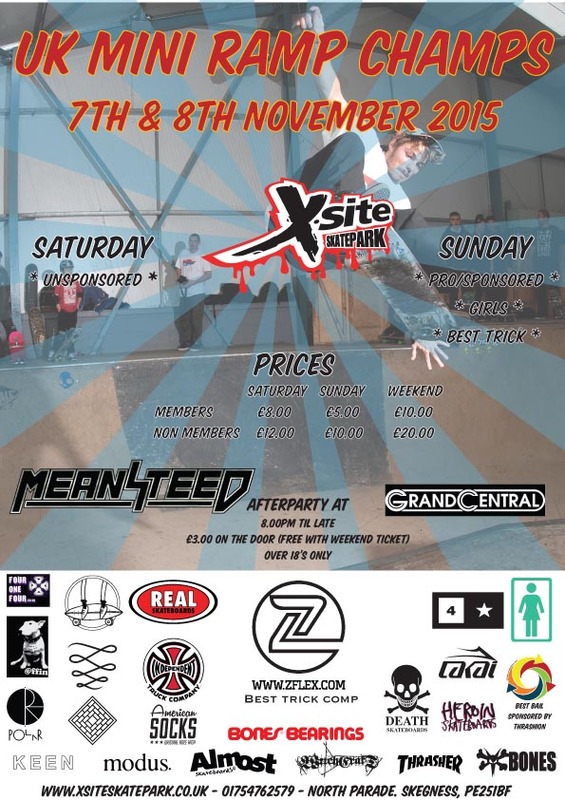 The UK Mini Ramp Champs are on 7th & 8th November at X-Site skatepark in Skegness (England). Saturday – a warm up and unsponsored comp. On Saturday night there will be an official after party at Grand Central. Sunday – Pro/sponsored, girls and best trick comps. There will be product and cash up for grabs thanks to all of the sponsors.